Glenernan self catering cottages are situated in the beautiful village of Ballater on Royal Deeside set amongst the stunning scenery of the Cairngorms National Park. Suitable for couples or the single traveller the cottages provide holiday accommodation that is within easy walking distance of all of the local amenities including Ballater s Royal appointed shops fine restaurants and Ballater Golf Club. 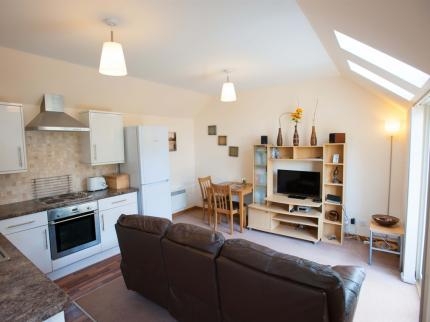 Glenernan s one bedroom cottages Glenernan Cottage and Glenernan Bothy are available for weekly holiday lets and also for short breaks and make an ideal place from which to explore Royal Deeside the Caringorms National Park and further afield. Converted from the old servants quarters in the grounds of Glenernan House formerly a B&B the cottages offer luxury self catering accommodation with parking and free wi-fi. Access to the cottages is wheelchair friendly. Ballater has a long standing Royal connection and Balmoral Castle is approximately 8 miles West of the Village along the famous River Dee. Many local walking hiking and cycling trails and river fishing are easily accessible from Glenernan s holiday accommodation as are the Malt Whisky Trail Scotland s Castle Trail and the Victorian Heritage trail. With Glenshee and the Lecht ski resorts nearby Ballater is also an ideal base for winter sports fans. As part of a long held tradition the Ballater Highland Games are held annually on the second Thursday in August in Monaltrie Park Ballater. There have been Games held in Ballater since 1864 and apart from the war years the Games have continued uninterrupted until the present day. Both Glenernan Cottage and Bothy offer beautiful one bedroom self catering holiday accommodation of similar layouts having a kitchen/dining area on open plan with the living area. The Cottage and Bothy sleep 2 in a double bedroom with ensuite shower/wet room and are well equipped.